I currently do not own a car, and don’t need to living downtown in a large city, but that means I do a lot of walking to get places. During these walks I like to listen to podcasts on my phone – it makes that time when I can’t do much other than walk more productive! I also listen while jogging, which means the podcasts I choose have to be pretty engaging or I will start thinking about how much I don’t feel like jogging anymore! I love to listen to podcasts about other crafty people and their crafty businesses. I get to learn what has worked for them in their business, as well as get inspired by their success. Crafty podcasts in general tend to be geared to those that run a crafty business themselves, but anyone can listen to them and enjoy a behind the scenes view of their favourite artists. You can also discover new artists that you have never heard of before, but find out you love! Here I share two of my current favourite yarn related podcasts that I have been listening to consistently for the past couple of months. While some other craft podcasts discuss an array of different crafts and arts, these two are strictly crochet, knitting, and yarn shows, so if that is all you are into, these ones are perfect for you! I own an Android phone so I listen to them using the app Stitcher (which is a pretty good app because I can save the podcasts to my phone and listen to them later without wifi, but there are sometimes ads between shows), but you can also find these shows on iTunes. I always look forward to listening to a Yarn Thing episode. Marly is so much fun and a joy to listen to. Each podcast is live on Tuesdays and Thursdays at 10 am MDT, but you can listen to all the past shows in iTunes or Stitcher. One fun thing about this podcast is that there are wonderful prizes and giveaways each show (such as yarn, patterns, books, etc. ), so if you are available at the time it is on, just call in or leave a comment on the episode and you could win something! I haven’t done it yet myself because I usually listen to the shows after they have aired, but plan to soon because I think it would be a lot of fun. Each episode, Marly interviews a guest in the knit and crochet industry and you get to learn about how they got started, what inspires them, and what to expect from them in the future. Marly is very bubbly and exudes passion for her industry and her love of all the guests she has on. The conversations are very informal and relaxed, yet you still discover a lot about the artist and their work. You get to learn about the big names in the industry, allowing you to put their personal life story behind their work and name. Highly recommended! The Creative Yarn Entrepreneur Show is a more business oriented podcast. 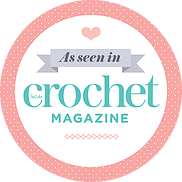 The host, Marie Segares, is the crochet and knit designer behind the blog Underground Crafter. Marie has a lot of experience working in the yarn industry and she shares what she has learned on her podcast. Each show usually has a specific topic in which either Marie herself takes you through tips and steps related to the topic, or she interviews a fellow business owner in the industry to discuss the topic (and more!). Her show often looks at social media and blogging and how you can use them to grow your business, as well as topics such as how to publish in a magazine, selling at craft shows, contracting a tech editor, failing, time management, etc. Overall, there is a wealth of information for growing and established crochet and knit designers to apply to their business. I especially love the show notes on the podcast’s blog, which include detailed notes on each episode with all the links and information you need to act on what was discussed during the show. If you are more of a reader than a listener, you can get most of the information you need just by reading the show notes! If you are just starting up or really want to grow your yarn related business, I highly recommend this podcast. So those are the two yarny podcasts I have been enjoying on my walks and jogs. 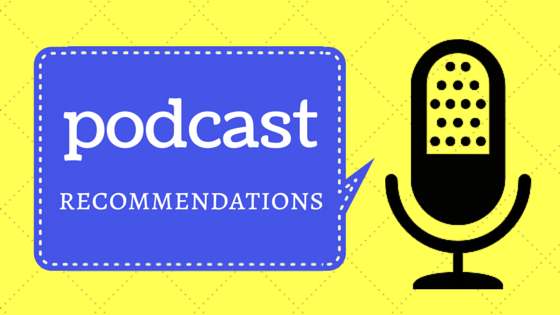 If you currently do not listen to podcasts, I highly recommend you start! You can learn so much during those times you cannot be sitting down with your eyes in a book.